With the improvement of life quality, we prefer a comfortable and silent environment. 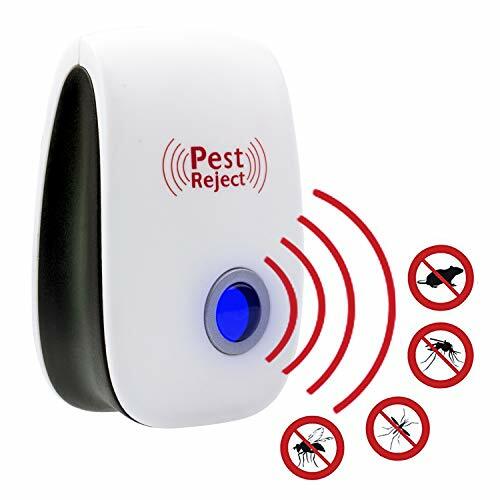 whatever you are a housewife a young mom or an office worker, regarding pest repelling, Ultrasonic pest repellent will be a good choice, you don't worry about any troubles from rats and insects. You can imagine that there is not a cockroach, pest, bed bugs, in clean house or office, you can work efficiency and your lovely bay is sleeping soundly without mosquito, such a harmonious life picture. 1. Caution: Please kindly keep it away from moisture place and water. 2. Don't clean the machine by strong impregnated, water or damp cloth. Use dry and soft cloth with some neuter wash to clean the machine. 3. Don't drop the machine and make strong striking on it. 4. Using environment temperature: 0-40 ℃. 5. To enhance the pest-repelling effect, kindly install electronic pest repellent away from carpet, sofa, curtain and ultrasonic-absorbed material etc.. Otherwise, the ultrasonic-absorbed material will reduce of ultrasonic so that weakens the function of pest repeller. Mostly, sets more machine at the warehouse or goods pile-up, several rooms, it will be better.